New England in the fall. The Wye Valley in the Welsh autumn. Both offer spectacular colours as the trees turn golden and begin to shed their leaves. 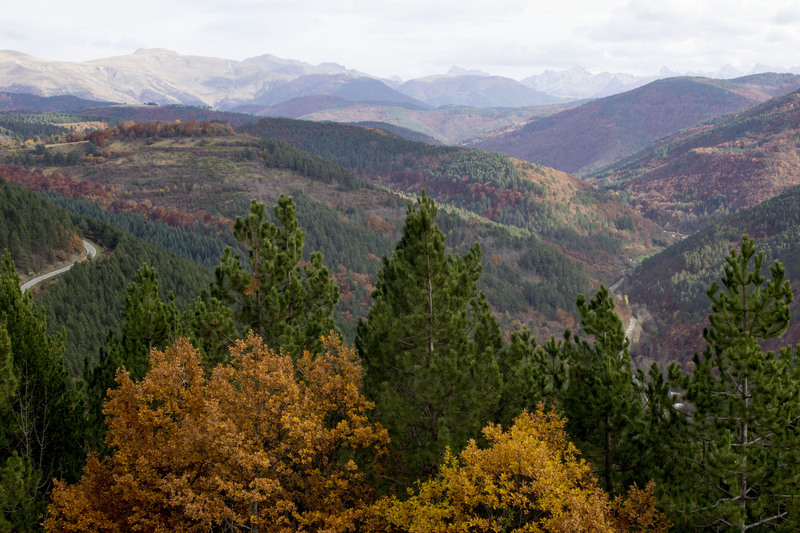 Every country has its places to go to watch this spectacular display of Mother Nature, and in Spain I would urge you to go to the Irati Forest in the Pyrenees. 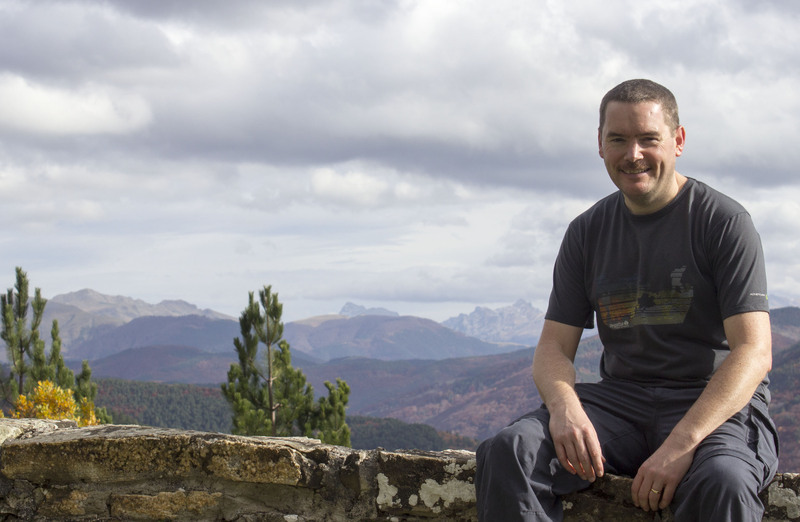 It’s about an hour’s drive from Pamplona and a little more from Zaragoza, but definitely worth the effort at this time of year. 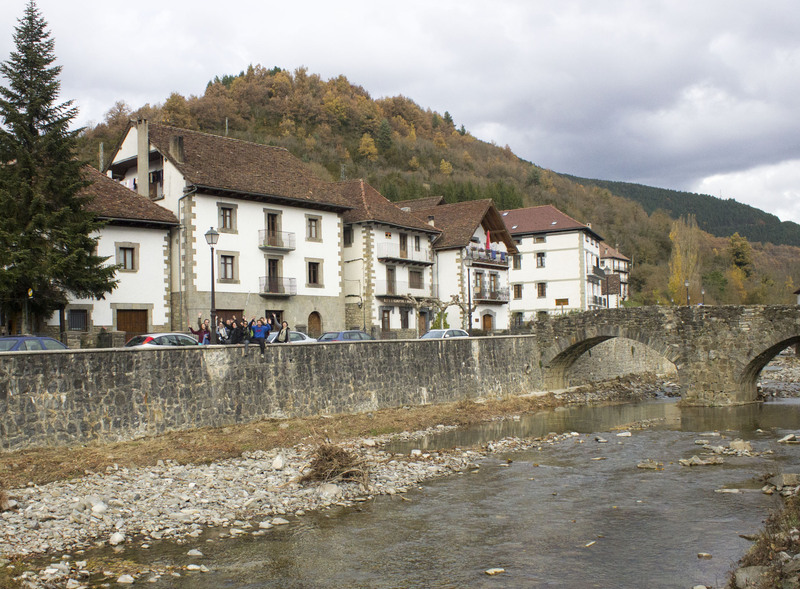 On a Saturday morning back in November 2012 we met up with a group of friends and drove up to the beautiful little town of Ochagavía in the Pyrenees. We were very lucky with the weather as it wasn’t so good in Pamplona. 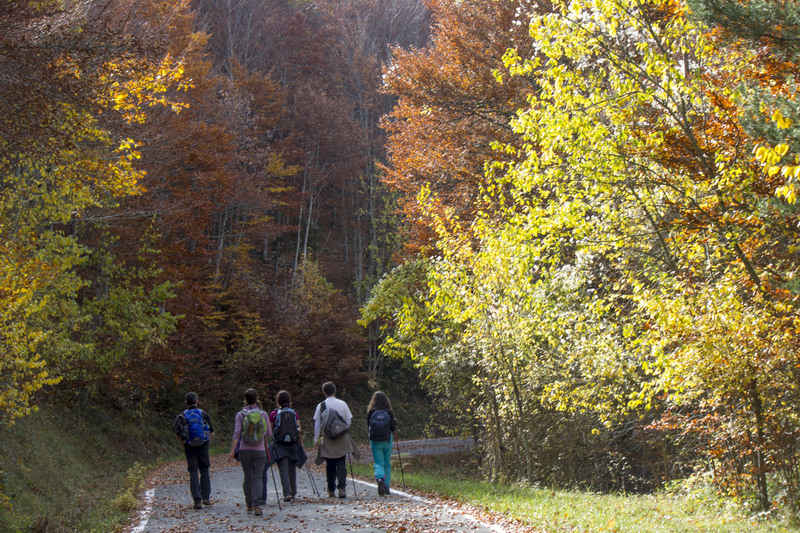 Walking in the mountains can be difficult but, much to our delight, this turned out to be an hour or so strolling along a country road with breathtaking colourful views everywhere. The road gradually climbed, twisted and turned and eventually we found ourselves at a church in the middle of nowhere. It was a great place to stop for our picnics. Our Spanish friends had brought a feast to share complete with home made tortillas, pasta with elvers (baby eels known here as angulas) steeped in garlic and some fabulous non-Spanish chocolate. We felt a bit guilty as all we had brought along was our sandwiches! After a while of wandering around the church ground and admiring the interior and the views, we began our descent back to Ochagavía. It was a bit tricky under foot as the path was covered in fallen leaves but what a carpet of colour we were treading! Back in the town we meandered through the cobbled maze-like streets then ambled back along the river to our waiting cars.